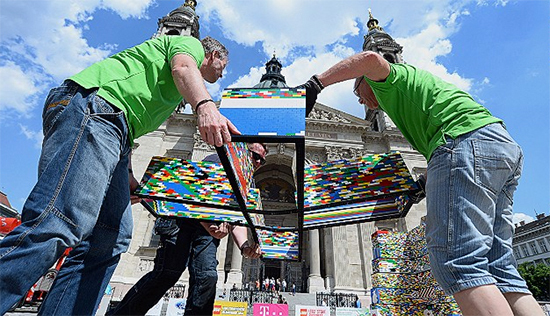 Fans and spectators gathered from all over Hungary on May 25th as a five-day construction project came to a close in the capital city of Budapest, creating the tallest LEGO structure ever built! The tower reaches a total height of 114 feet, breaking the previous US record of 113 feet, and was assembled by over 5000 students with the help of older builders. The project was supervised by LEGO managers, and features a wide variety of designs and characters, including infamous video game characters, flags, and more. Including hundreds of thousands of bricks in its construction, the tower was crowned with a Rubik’s Cube, and was certified by Guinness World Record employees and spokesmen. 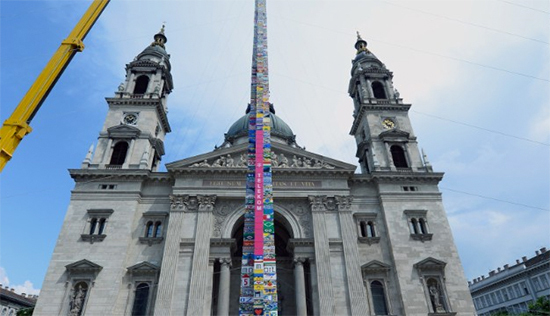 Located in front of St. Sephen’s Basilica in Budapest, this tower is a testament to the ingenuity and determination of its builders!